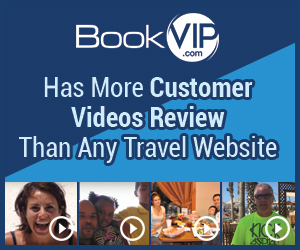 Next review Bookvip - Booking was cancelled but my credit card charges have not been reversed. Because customer satisfaction is the mainstay of BookVIP’s business, we go above and beyond to clearly advertise the promotional packages being offered. Waterpark tickets were not included in the promotional package you purchased and the package was not advertised as such. The vacation packages offered by BookVIP are amazingly affordable because the participating resort partner is paying the 70% discount on these promotions, they set forth certain eligibility requirements for these vacation packages. It is the resort’s prerogative to schedule the presentations at their discretion and BookVIP has no control over the time or length of the presentation. Any and all additional resort fees, taxes, and/or deposits which may be required by any particular resort are contained in the Terms and Conditions for each package. The Terms and Conditions are located at the bottom of every hotel/resort offering page on our website. In addition, the Terms and Conditions are reviewed with each guest during the sales call and must be agreed to, and accepted by all guests before the reservation can be finalized and forwarded to the resort. We book a three day get away with BookVIP, I thought everything was going to work out week till we got to the site and were misled about what was included in our stay. Paid resort fee and still has to paid $20 a person to use the waterpark that was inside the resort. Then attended what we thought would be a 90 minute tour, but ended up being 4 hours!!! Review #808460 is a subjective opinion of User808460.